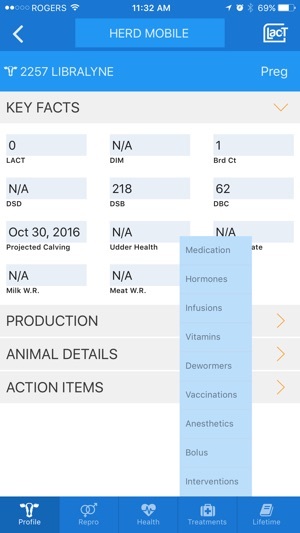 The herd management application, Lac-T mobile, allows for simple data entry and easy access to herd information. Lac-T users will find it to be an essential part of their daily routine. A management grid displays upcoming events and the complete history of each animal is always available for consultation. 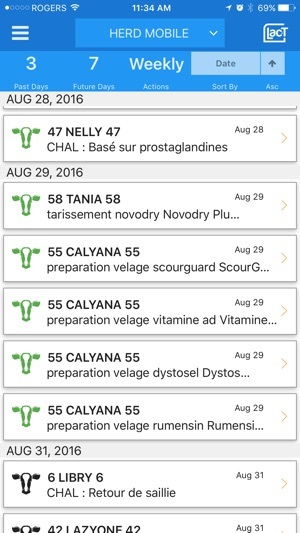 An ideal companion to your Lac-T, this mobile app allows simple entry of health and reproduction events. A great way to save time! Stay connected to your herd at all times, no internet access is required to consult data and enter events. - Correction of synchronization errors. 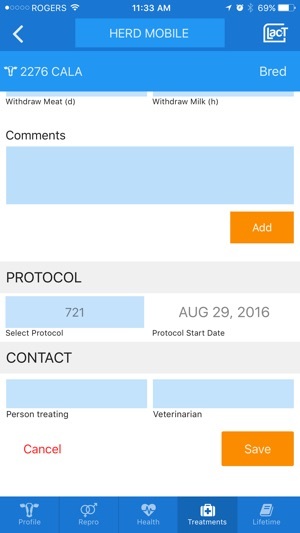 - Deleting Protocols on the mobile application did not work and protocols were not deleted. This has been corrected. 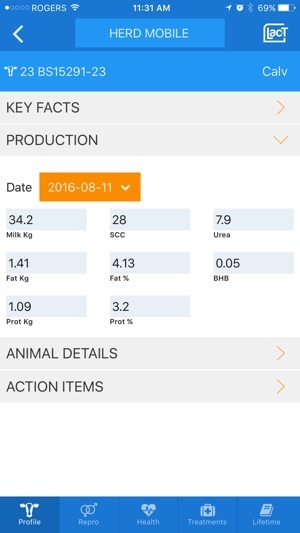 - When adding an animal during a Calving event on the mobile application, it was possible to enter a Barn Name with more than 10 characters. This would cause a synchronization error as there was no validation and the synchronization would not work. There is now a validation for the maximum number of characters allowed for the name of an animal, which should prevent this type of error. Très belle application, pratique, rapide et simple à utiliser. 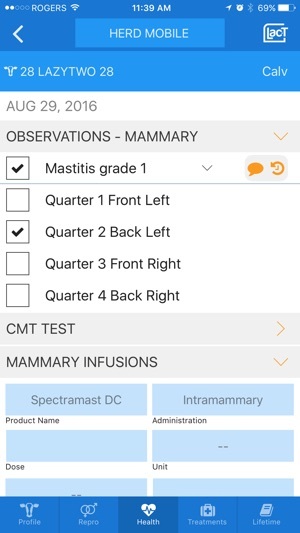 Dommage qu'on ne peut pas inscrite les diagnostics de gestation directement avec l'application.